Pat is an entrepreneur who owns several companies in the Dayton area, the largest of which is a research and development company located in Miamisburg. He received a Ph.D. in Materials Science from UC Davis. Originally from San Diego, Pat moved to the Dayton area in the early 1990s. In October of 2000, he married his wife Brenda, a freelance writer who serves on the worship team and manages the BCC web site. 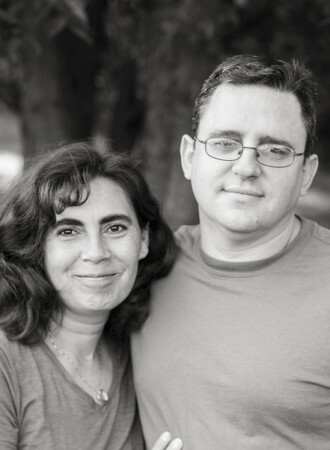 They live in Sugarcreek Township, joined the BCC fellowship in 2010, and help lead the DivorceCare ministry. Between the two of them, they have six children: Eric (Newland), Craig (Newland), Chris, Matthew, Claire (Grimsley) and Michael. They also have five grandchildren. Pat’s APEST gifting is in apostolic ministries. He became an Elder in 2015 and serves on the apostolic team at BCC. He is an avid bike rider and skier and enjoys traveling and dreaming up new technologies. Jeff joined BCC in 1990 and became an Elder in 2012. He graduated from The Ohio State University with a BS in Engineering and Wright State University with an MBA. He is currently a defense contractor at WPAFB. Jeff’s APEST gifting is teaching, and he serves on the teaching team at BCC. His specific interests are apologetics and the reliability of the Bible. Jeff married his best friend Kathleen in July, 1995. Kathleen is a school nurse serving the Dayton community, and she sings with the worship team and works in women’s ministries at BCC. They have three children: Ryan, A.J., and Joshua. They live in Beavercreek and are active with local soccer teams and community outreach ministries. Jeff enjoys biking, tennis, golf, and scuba diving. 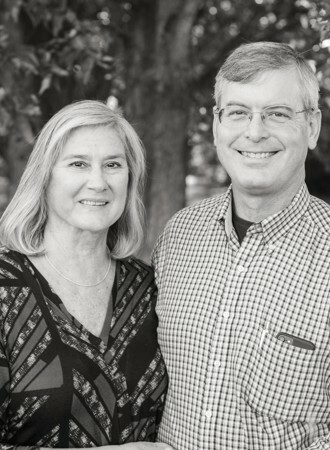 Ken and his wife Nancy have been married since 1990 and have two sons: Christopher and Jonathan. Ken is a manager of three drinking water plants in Beavercreek and has worked there since 1992. Ken is an Air Force brat and moved to Ohio in 1986. Raised in the Church of Christ, Ken was baptized in 1988. 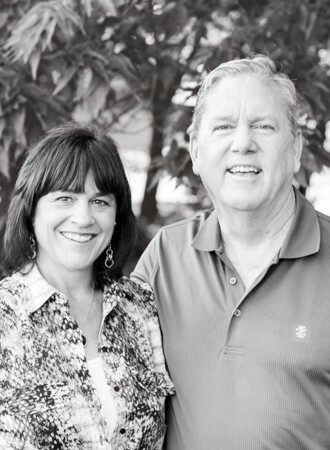 Ken and Nancy have been members of BCC since 1988. BCC has sponsored the French family on several trips as missionaries to Tanzania. Their first trip was in 2000 for six months followed by two-week trips in 2001 and 2017, and a trip in 2005 for five weeks. During these trips they worked with various teams to build churches, install a water filter system, a waterless sanitary system, and a kitchen pavilion. Ken is passionate about missions and is actively working with the Jambulosi family, stationed in Tanzania, and the Derry family, stationed in Louisville, Kentucky. His APEST strengths are Teacher and Evangelist. Dave and his wife Jodie have been married since 1988, and have two chil­dren: Samantha and AJ. After a 21-year career as a military officer and having lived all over the world, Dave and his family now call Fair­born, Ohio home. They partnered with BCC in ministry from 2006-2009 and then again since 2013 when they returned to Ohio after Dave retired from the military and began his work with the Air Force as a civilian employee at Wright-Patterson Air Force Base. Dave’s been leading ministry teams for over 20 years in children’s and youth ministries, various adult ministries, home groups and the worship arts. 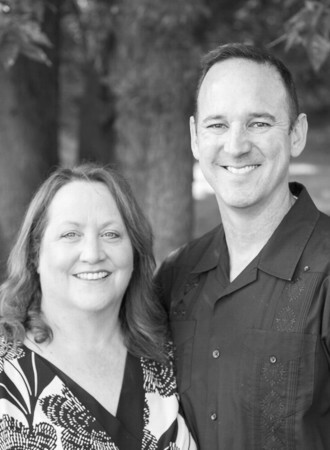 Dave is passionate about the power of small group disciple­ship, and he and Jodie currently lead a single young adult ministry called Thrive, as well as an adult home group focused on “empty nesters.” He’s also an active member of the worship team. Dave’s APEST gifts lean toward Shepherding (Pastoring) and Teaching. Wayne joined BCC in 2002 as a member and became an Elder in 2015. He graduated from Wright State University with a BS in Electrical Engineering in 2012. He is currently an RF Engineer at L3 Technologies in Mason, OH. Wayne’s gifting is prophetic and he serves on the Prophetic Team at BCC. His specific interests are in the International and Prayer ministries. Wayne met his wife Fina while they were stationed together in the Marine Corps in 1995. They have been married since 1996 and live in Beavercreek. They have three sons: Cecil, Jeremy, and Nicholas. Wayne enjoys fishing and camping.